Bringing the community together, one brush stroke at a time. Bringing the community together, one brush stroke at a time. That’s what one local organization is trying to do and as they do it, they will soon make your drive downtown a bit more of a colorful ride. 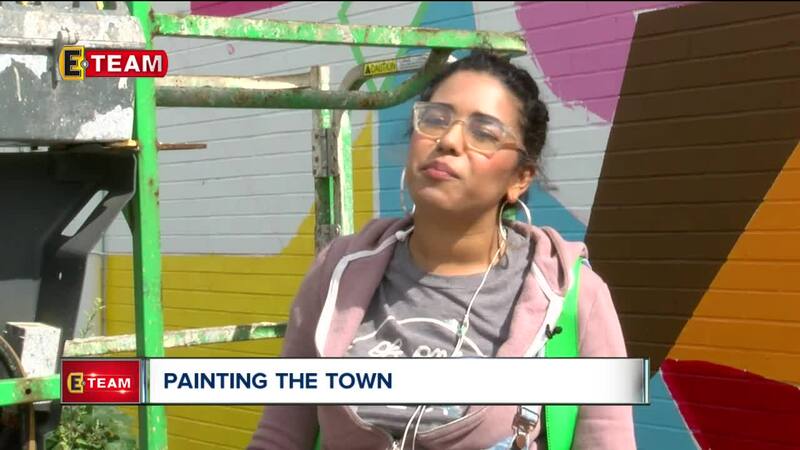 “Alrighty,” said Lauren McKenzie, one the local artists chosen to paint the very first downtown murals. “It’s important to be capturing different types of people,” she said. And that’s why she’s painting her mural with meaning. “It was important for me to include women of color,” McKenzie said. On the mural, faces have started to form on the side of the vacant building on the corner of Euclid Avenue and East 36th Street. As she’s painted, people in the neighborhood have already started to take notice. 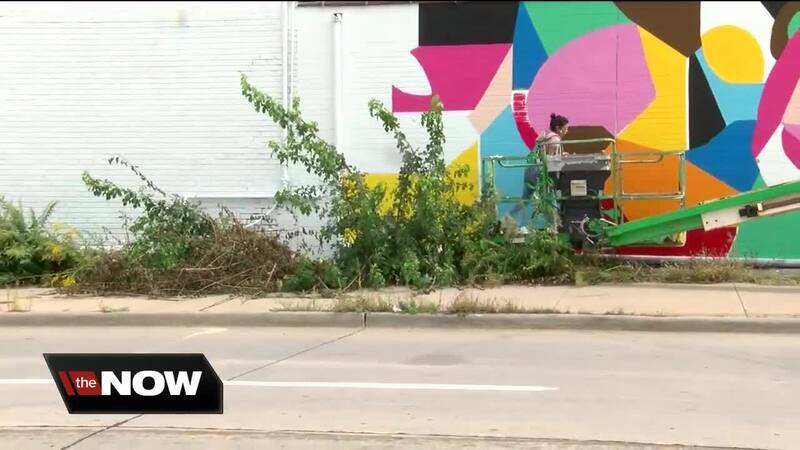 That type of connection is precisely what Joyce Huang, the Director of Planning for the nonprofit Midtown Cleveland Inc. hopes to create with their new project, Paint the Town. “We want to expose people to art who haven’t maybe been able to see a lot of art in their neighborhoods or maybe on their commute,” Huang said. At the same time, potentially grow the community’s infrastructure. “I hope that public art will also spur on small business,” said Huang. The Paint the Town project seeks to eventually fill up the vacant or unattractive spots downtown with local artist’s work, like McKenzie. “This whole thing has brought more of a community,” McKenzie said. Her mural is the very first that will be completed within the next week. The group hopes to have three completed this year on buildings down Euclid, and more spaces next year.